TakeMe2TheWorld, Your Travel Companion: Why A Worn-out Itinerary When You Can Have An Out-Of-The-Ordinary Holiday? Why A Worn-out Itinerary When You Can Have An Out-Of-The-Ordinary Holiday? I knew I was lost! Gosh, I must be the world's worst map-reader. The air was thick with humidity. I was sweating profusely. Not without some trepidation, I asked this young woman, who was waiting next to me to cross the road, "Excuse me. Could you please tell me the direction for Haji Lane?" It was a relief when she said with a smile that she was heading in that direction, and offered to walk with me. I had a 15 hour layover in Singapore, on my way back home to New Zealand. I was determined to avoid the same old tourist routine and discover unique things in the city. The online forums all seem to lead to Haji Lane, a quirky and tiny alley full of interesting cafes and boutique shops. Add artful graffiti decorating both sides of the street. The picture is complete. After landing early in Changi Airport Singapore in the wee hours, I had a restful sleep, shower and breakfast at the Ambassador Transit Lounge, before taking a taxi into the city in the morning. I got down at the point that I had planned, closer to Haji Lane. And I got lost promptly as soon as I started walking! So it was a blessing to have found Mae, who just happened to be in Singapore with her husband, who had been attending a conference. It turned out to be a great day, with Mae taking me through not only Haji Lane, but also the nearby Arab Quarter, the bustling Tiong Bahru market & hawker centre and finally the Chinese New Year celebration at China Town. She even helped me to bargain for a souvenir! We had a cup of coffee before saying good bye to each other. This is the beauty of trekking off the beaten tracks. You never know where the next surprise is coming from. 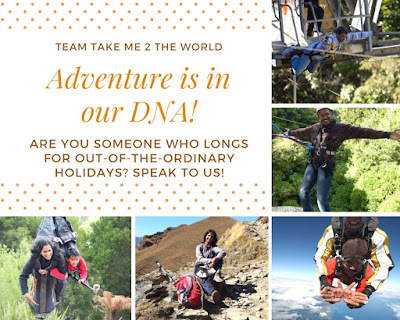 This is the founding philosophy of Team #TakeMe2TheWorld. When you can have a once in a lifetime holiday, why would you want to have a tired and worn-out itinerary? 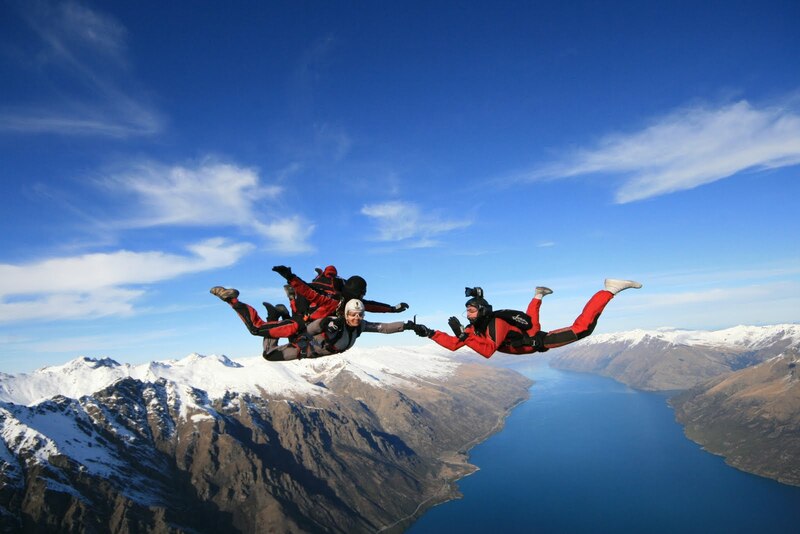 Where is the sense of thrill in jumping into the unknown? Take the case of Wellington based friends Lisa and Sue. When Septuagenarian Lisa first met me, she had pretty much knew what she wanted out of her India holiday. She commissioned us to design an exclusive itinerary for her and Sue, which bypassed every known popular tourist attraction, traversing through rural South India. We had incorporated the friends' interests of travelling like the locals do, agriculture, fabrics, embroidery, food and cooking, into our itinerary for them. Let's peep into a day in their holiday when they visited Thamarai, House of Hand Embroidery, shall we? A story within the story! From Chennai this morning comes this email, from a small workshop in a back, but respectable street in the south of the city. For the embroiderers within our midst, here is a tiny shot of the most heavenly embroidery you could wish to watch being executed. The thread is the finest coiled spring..and the MEN were at long frames, embroidering 13 metre curtain lengths of hand printed silk fabric, with a sort of lozenge patterns in a repeating 10 different lozenge pattern of different sequin, bead and gold thread stuff... using a very fine sort of crochet hook. Also they were working on a PELMET, about a metre deep, 15 metres long, done on deep red velvet with 3sorts of antique coloured gold thread. A special assignment for someone's home, Final cost ? Somewhere about $US 14,000. (For goodness sake, who has that money for a PELMET????). These families did the fine work also in their village to the south of Chennai, and it is a dying art... their children do not want to spend all day at an embroidery frame when they could have a far more exciting life elsewhere. The 3 lady bosses , all from Chennai originally, met in The Louvre where they were working on restoration embroidery. They are most keen to keep the traditional art alive. They take on anything at all working with gold, silver, beads, sequins, and they have the full range of Anchor embroidery threads in their storeroom, not to mention fabric, oh, the works.. a huge storeroom... So, if you wish to have something designed especially, get in touch. They also do work for Chanel, apparently . I don't know if they do ecclesiastical embroidery, but judging by their storeroom, they could do any kind of bead, sequinned and goldwork you might dream up. They buy the best of metal thread which resists tarnishing.